Jordan sued for violation of his statutory Illinois right of publicity. (There were Lanham Act claims, but Jordan agreed to dismiss them—perhaps noting that publicity rights plaintiffs may do better when they only bring publicity claims; a Lanham Act claim occasionally reminds courts of the more vigorous First Amendment defenses available in false endorsement cases.) Jewel filed third-party claims against publisher Time (and the page’s designer, Vertis, now in bankruptcy) for contribution and indemnification. Time counterclaimed against Jewel for breach of contract and indemnification. 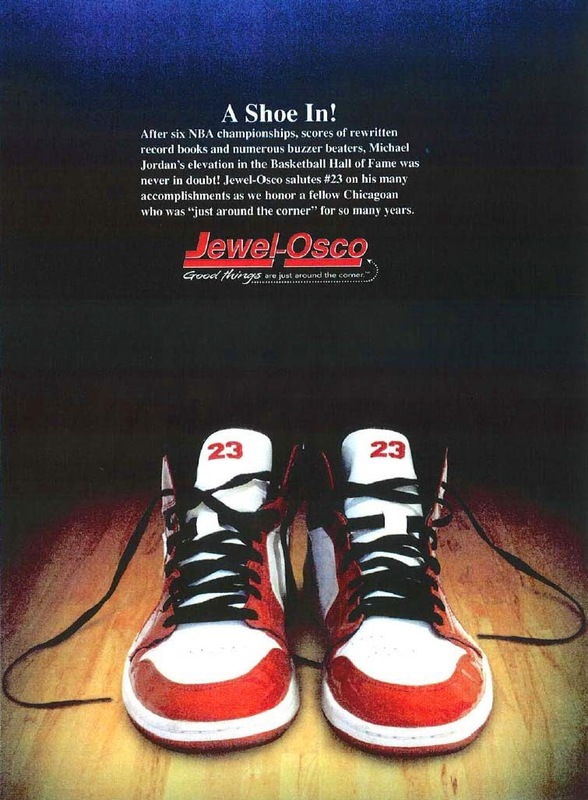 The Seventh Circuit previously held that Jewel’s ad was commercial speech within the meaning of the First Amendment, but did not rule on the ultimate merits of the right of publicity claim. Jordan argued that the Seventh Circuit ruling conclusively established a “commercial purpose” within the meaning of the law, but the court of appeals made clear that it wasn’t resolving the state law issues. (E.g., “It is true that each of the statutory and common-law claims alleged here has a ‘commercial’ element in one form or another, but it’s not clear that the Supreme Court’s commercial-speech doctrine should be used to define this term in each cause of action.”) Because all Jordan did was argue that the Seventh Circuit had resolved the issue, his motion for summary judgment failed. Jewel’s third-party indemnity claim against Time required it to establish a pre-tort relationship between the parties, plus that it was subject to derivative liability for the acts of Time (that is, that Time was truly at fault and that Jewel was only strictly liable for some reason). The wholesaler/retailer relationship alleged was insufficient to create the necessary relationship, and Jewel’s liability wasn’t derivative of Time’s. The only claims remaining were state-law, but given the time invested, the court would continue to exercise supplemental jurisdiction over them. This entry was posted in right of publicity. Bookmark the permalink.